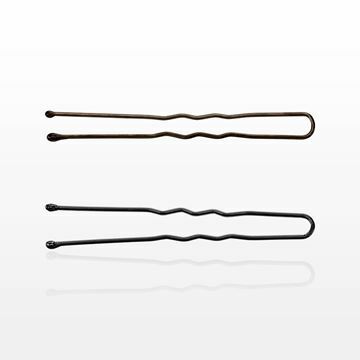 Secure up-do's, buns and braids with these bobby pins that are double coated and crimped. The synthetic rubber tips help protect the hair and scalp. Secure up-do's, buns and braids firmly in place with these crimped hair pins. The synthetic rubber tips help protect the hair and scalp.